A new campus program will showcase sustainability up close and personal. Launching in June, Sustainability Partners will provide monthly glimpses into sustainability practices on NC State’s campus and beyond. Through monthly tours, talks and other gatherings, the program will enable participants to learn more about sustainability while also building community on campus. Sustainability Partners is coordinated by the University Sustainability Office and the NC State Staff Senate Resources and Environment Committee. Though the program is geared toward university employees, students are also welcome to participate. 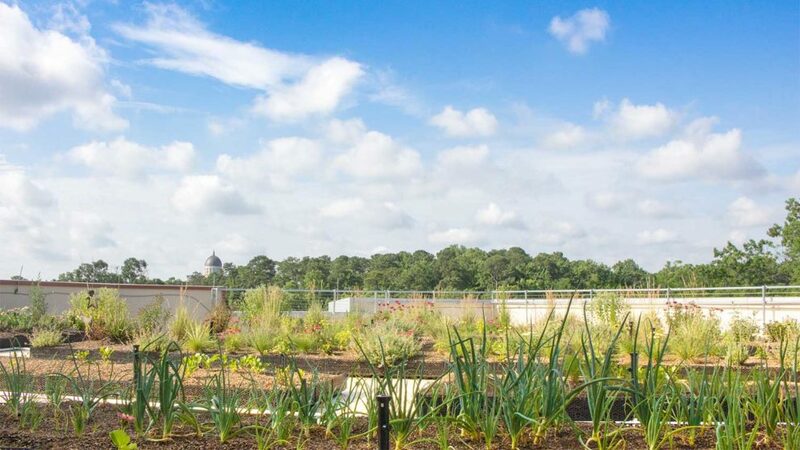 Sustainability Partners kicks off on June 22 with two tours (8:00 a.m. and 8:30 a.m.) of Talley Student Union’s rooftop garden, where horticultural science faculty member Anne Spafford will talk about the project’s importance as part of National Pollinator Week. On July 24, a Ph.D. student and recent graduate in the Department of Biological and Agricultural Engineering will provide a behind-the-scenes tour of a water quality research project underway on campus. Later in August, the program catches up with the student designers of NC State’s first solar-powered car following their journey in the American Solar Challenge, a cross-country solar car race. Sign up for these events and be the first to know about upcoming events by joining the Sustainability Partners listserv on the program’s webpage.